You can read the full review here…. I spoke with Tracie Hotchner, the Pet Lady of Dog Talk Radio (and Kitties Too! 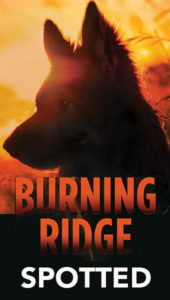 ), about Burning Ridge and my writing life. You can listen to the interview here…. Elise Cooper and I chatted about BURNING RIDGE the day before its release. 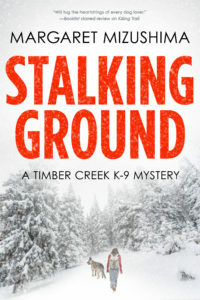 I like the way Elise weaves quotes from the book into the CrimeSpree Magazine article she wrote about our conversation. 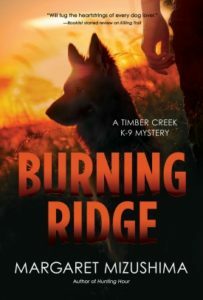 Nancie Clare and I talk about BURNING RIDGE and the inspiration behind the book as well as the series on this Speaking of Mysteries podcast, including how the title was chosen for this fourth book in the series. Marshal Zeringue hosted my four dogs and me on his Coffee with a Canine Blogspot. 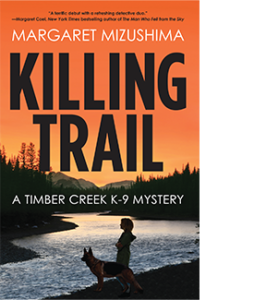 The girls and I had a rollicking good time during our photo shoot, and I hope you enjoy these tidbits about the Mizushima dog pack. 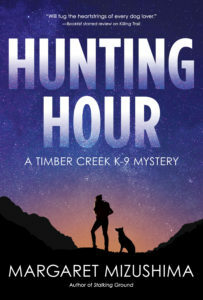 Long and Short Reviews gives BURNING RIDGE five stars in this review.